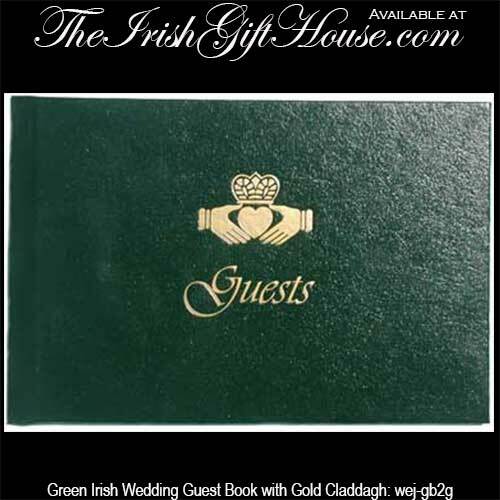 This Claddagh guest book is ideal for your Irish wedding. This Irish wedding book is stamped with a gold Claddagh along with the word guests and it measures 5 3/4" tall x 8 3/4" wide. The Claddagh guest book features a simulated green leather cover along with lined pages with 250 name capacity.